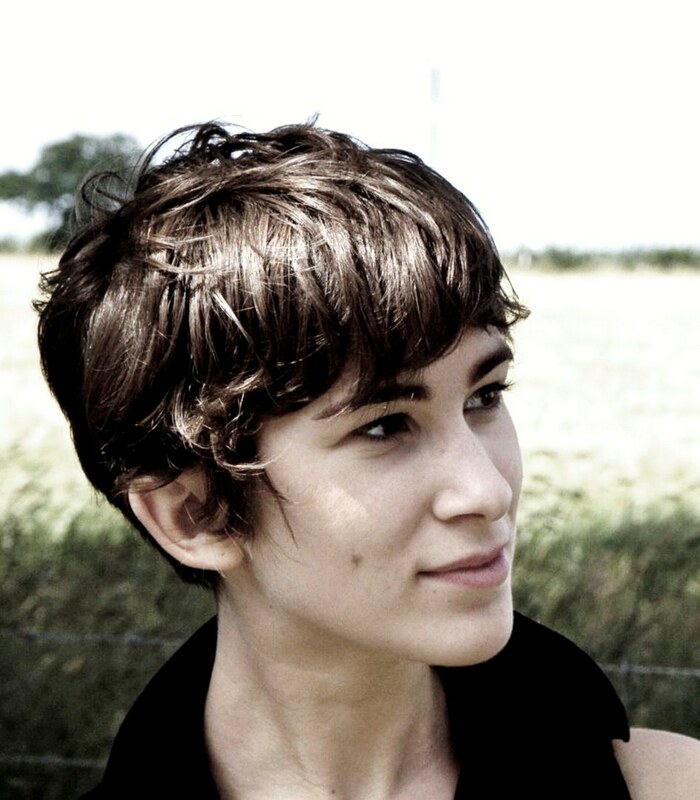 From Boston Globe–Horn Book Award winner Katherine Rundell comes an exciting new novel about a group of kids who must survive in the Amazon after their plane crashes. Fred, Con, Lila, and Max are on their way back to England from Manaus when the plane they’re on crashes and the pilot dies upon landing. For days they survive alone, until Fred finds a map that leads them to a ruined city, and to a secret. Four children crash-land into the Amazon rain forest. Utterly alone, they quickly learn that in order to survive, they must work together and trust each other. As they begin their journey by raft to find help, they encounter a strange, mysterious, and learned man who will teach them not only how to survive in the jungle, but how to face their fears and eventually risk everything to get home. This exciting adventure story of trust, courage, and friendship will appeal to the explorer in every young reader. 2. Fred observes Con as such: “She moved stiffly; she wore her body like a uniform she hadn’t chosen. And there are outfits that suggest of their own accord that their owner should sit still and smile nicely.” Discuss the meaning of this description. How can certain clothes project an image? Give examples from your life that support your ideas. 3. The children attempt to talk Fred into turning over the watch his father gave him as a tool to make a fire. Lila is sympathetic toward Fred’s unwillingness to comply, yet she gently persuades him. The author notes that “her voice had sympathy in it, but grit, too.” What is grit, and how does Lila demonstrate this quality throughout the text? 4. The children are successful in making fire. From Fred’s perspective, “The fire made a noise like an idea being born, a roar that sounded like hope, and sent up a column of flames.” How can fire, an element that is also associated with destruction, sound like hope? 5. As the children worked together to make the raft, Con “covered her face with her hair as she worked and refused to meet anybody’s gaze.” Why is Con so protective of her emotions? How does she grow over the course of the text? 6. Discuss Fred’s thoughts about his father and their strained relationship. How does the distance from his father (both geographically and emotionally) motivate him to succeed in the Amazon and ultimately grow as a person? 7. What risks does Fred take throughout the text to help the group? Do you think that his actions are always motivated by the interests of the group? For example, despite the risk of piranhas and the protests of the other children, Fred jumps into the water to investigate a silvery object. He says, simply, “‘I need to see.’” Do you think this was a wise move? Do you think he was a positive role model to the others? 8. Fred shares the following thoughts with the others: “‘I just like the idea that there’s still things that we don’t know. At school it’s the same thing, every day. I liked that it might be all right to believe in large and wild things.’” What does Fred mean by “large and wild things”? Are there elements of the world that interest you? Name some things that scientists and researchers continue to study for more information, such as life on other planets. 9. The author uses color imagery to paint vivid descriptions of the Amazon rain forest. “The greenness, which has seemed such a forbidding wall of color, was not, up close, green at all, Fred thought. It was a thousand different colors: lime and emerald and moss and jade, and a deep, deep, almost black green that made him think of sunken ships.” How does the use of color help you imagine the scene? 10. Lila and the sloth become fast companions. Fred notices her intense connection to the animal and decides to give Lila space with the creature. He thinks, “People suddenly bludgeoned by passions are unpredictable.” What does bludgeon mean? How can one be bludgeoned by passions or intense attachment? Why do you think the author chose Lila to take care of the sloth? What character traits does she have that make her a good caretaker? 11. Fred is fascinated by the stories of Amazon explorers; he says he needs to know what it was like to be an explorer. There’s also another kind of hunger in his gut that has nothing to do with food: it’s terror and possibility, fused together with hope. Discuss how terror, possibility, and hope can all exist at once. Why does the author describe it as a “hunger”? 12. Con shared feelings about her aunt and the expectations placed upon her as a girl. After she finished she “breathed in a deep shuddering breath, as if she had expelled something weighty.” What does the author mean by “weighty”? How is this a turning point for Con? 13. The man the children refer to as the explorer enters midway through the story. Discuss your first impressions of him after reading the chapter, The Ruined City. Discuss the following description of the explorer: “His face was emotionless but his eyes were not.” Although he is gruff with the children, how does he reveal his kindness? What does he mean when he tells the children: “‘The real world is where you feel most real’”? 14. Discuss how the children cope with their constant fears. Discuss specific scenes that reveal how they fight through their fears, such as choosing to travel by raft or climbing the great cliff. The explorer implores the children to “’Take risks! That’s the thing to do. Get to know what fear feels like. Get to know how to maneuver around it . . . but make sure the risks you take aren’t taken to impress someone else.’” Discuss this statement. Do you agree with the explorer? Who do you think he was addressing in the last sentence? Why? 17. The explorer teaches the children how to live in the jungle without harming it, and says, “’Cut only what you need. Don’t hoard. Leave enough that the tree can replenish itself. The greatest threat to living things is man, which is not a thought to make one proud.’” Have a discussion about your own place on the planet, and how you can make small changes to help conserve the earth’s natural resources. 18. The Latin motto on the explorer’s ring reads: Nec Aspera Terrent, which translates to “Difficulties be damned” or “Frightened by no difficulties.” How does this motto suit not only the explorer but also the plot of the story? Spend some time discussing other appropriate mottos that would align with the text. 19. The explorer teaches the children extraordinary things and shares his wisdom with them as they spend more time together. He tells them “’A man can love and fear the responsibility that comes with love. A secret can be at once selfish and necessary. Truth is as thorny and various as the jungle itself.’” What do you think these adages or proverbs mean, and how do they relate to the main themes of the text? 20. After reading the chapters “The Green Sky” and “Waiting for Dawn,” discuss the passages in which the explorer shares his thoughts about life, specifically on understanding, love, happiness, honesty, fear, and paying attention. 22. Consider everything the explorer has taught the children and their experiences in the Amazon throughout the book. Can the four children also be considered explorers? What kind of qualities are found in an explorer? 1. The first line of The Explorer contains the literary device known as a simile: “The moment in which a plane takes flight is an astonishing thing; the lift of the metal wings as unlikely as a pumpkin coach, a golden egg, an outlandish fairy tale promise made good.” Introduce simile as a figure of speech that compares unlike things using the words like or as. Throughout the text, the author employs vivid similes, metaphors, personification, and other literary devices. As students read, have them keep track of these devices in a journal. At the conclusion of the text, have students choose one example to illustrate each. 2. Fred, Con, Lila, and Max all play an important part in their journey to get home. Have students choose a favorite scene from the book and, using what they’ve learned about each of these four characters, rewrite the scene from a different character’s point of view. 3. Lila and Max’s mother is a botanist, a scientist who studies plants. Throughout the text, the children interact with a variety of Amazon rain forest plants, some beneficial and some harmful. Have students work in groups to conduct a research project on the types of plants found in the Amazon. After research is concluded, give students time to present their findings. (Research can also focus on insects, animals, or fish). 4. Early in the story, the children need to find water and are faced with choosing a direction in which to walk. Conduct a lesson on directionality, map-reading, compass use, and orienteering. Place students in pairs and have them create a map of a section of the school or neighborhood. 5. 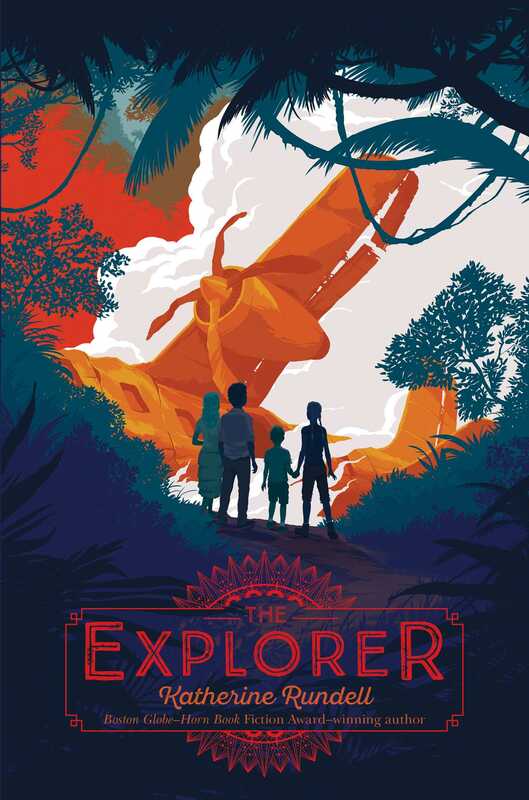 Secrets, risk-taking, hope, fear, ingenuity, curiosity, trust, and friendship are the major themes in The Explorer. Assign sections of the book to small groups to reread. As they read, have them record examples of the themes in a list. Next, using magazine clippings, meaningful words, phrases and descriptions from the text, and original artwork, have groups work together to create a theme collage. Choose a strong central image for the piece, and add layers of images and text around the center. Each group should present their finished work to the class. Guide written by Colleen Carroll, literacy specialist, education consultant, and author of the twelve-volume series, How Artists See (Abbeville Press).